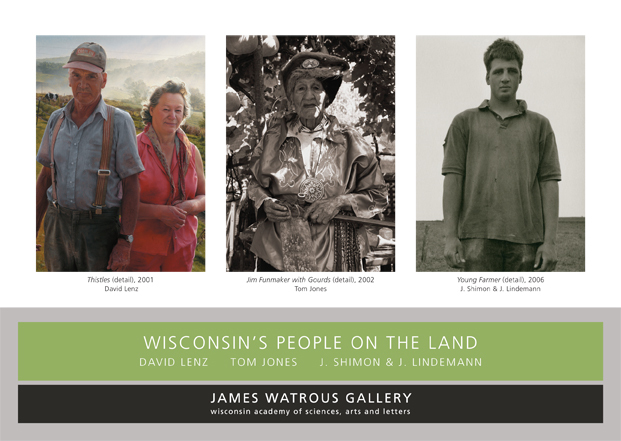 Wisconsin’s People on the Land examines the changing rural landscape of Wisconsin as seen through the eyes of four Wisconsin artists: Milwaukee painter David Lenz, Madison photographer Tom Jones, and Manitowoc photographers J. Shimon & J. Lindemann. 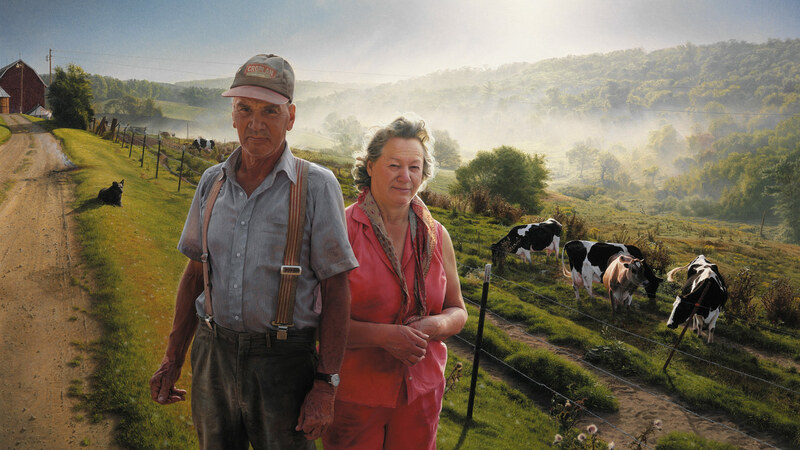 The exhibition is part of the Wisconsin Academy’s multiyear initiative, The Future of Farming and Rural Life in Wisconsin. Friday, April 20, 7pm. Panel discussion with exhibition artists, rural sociologist Mike Bell, folklorist Ruth Olson, and gallery co-director Randall Berndt. Madison Museum of Contemporary Art lecture hall. Reception following. Sunday, April 29, 2pm. Wisconsin author Ben Logan reads from his book The Land Remembers. James Watrous Gallery. Sunday, May 13, 7:30pm. Bach Dancing and Dynamite Society will premiere a new musical composition by Mike Bell as part of a concert of rural themed music. MMoCA lecture hall. Tickets required. Monday, May 14, 5:15pm. Native American foodways presentation with Paul Smith, Rhonda Funmaker, and Ruth Olson. James Watrous Gallery. The exhibition is made possible by a generous gift from Culver’s Restaurants, and by grants from the Dane County Cultural Affairs Commission with additional funds from the Endres Mfg. Company Foundation and the Overture Foundation, and the Wisconsin Humanities Council. Additional funding comes from DoubleTree Hotel and the James Watrous family. The Bach Dancing and Dynamite Society Concert is sponsored by Michael Best & Friedrich LLP and the Plum Creek Timber Company, Inc. with additional funding from Chris and Martina Mann.